Laboratory Gas Generators, GCMS, LCMS, Carrier Gases, Nitrogen Gas Generators, Live Culture Storage. The practice of GCMS (gas chromatography/mass spectrometry) requires a well maintained, clean, and stable laboratory environment. Depending on what and why you are engaging in GC or GCMS, your carrier gas will be either nitrogen or hydrogen. 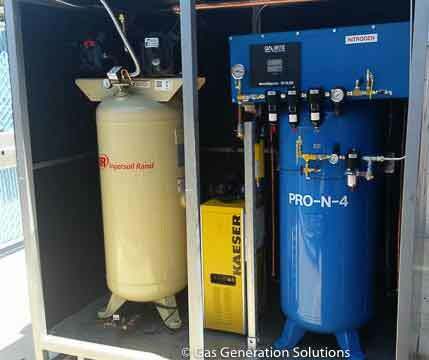 In either case, Gas Generation Solutions provides you with the best new and used nitrogen and hydrogen generators for on-site use. Our generators create and store nitrogen or hydrogen with purity levels of 99.9995%, so you can rest assured that the results you are getting with your testing are spot on and imminently repeatable when needed. In addition, it’s important to have a gas generation system for your gas chromatography and mass spectrometry needs that can remove other combustible gases from the work area to avoid explosions. 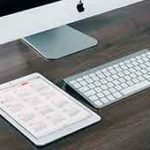 For the most accurate GCMS testing, nitrogen and hydrogen generators should be used in conjunction with air pollution monitors and hydrocarbon analyzers—in this way you’ll know the results you’re getting are as accurate as possible each and every time. 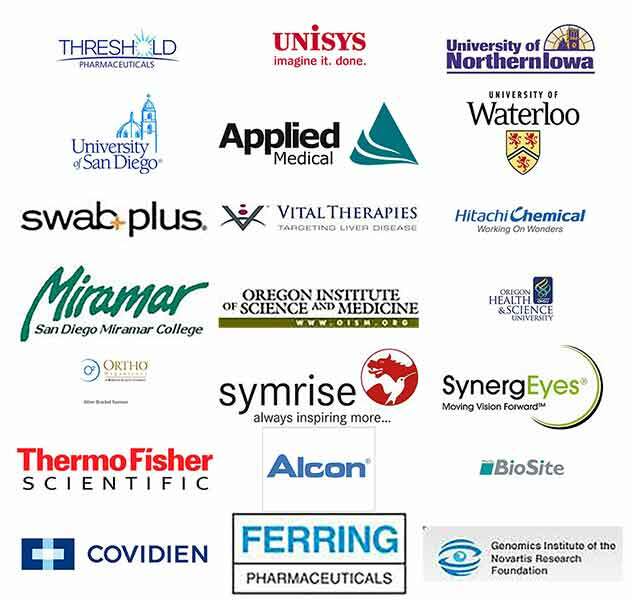 In other laboratory needs, culture media preparation, storage, and keeping live cultures alive is all in a day’s work for many technicians who work within the medical, veterinary, pharmaceutical and supplement industries. For companies that need to store live cultures, hydrogen and nitrogen gas generation capability on-site is a must. In some laboratory settings, oxygen generation may also be of use, but this will all depend upon which types of cultures you’re trying to keep alive, if you are trying to grow strains, or if you are storing live cultures in as close to an inert state as possible. 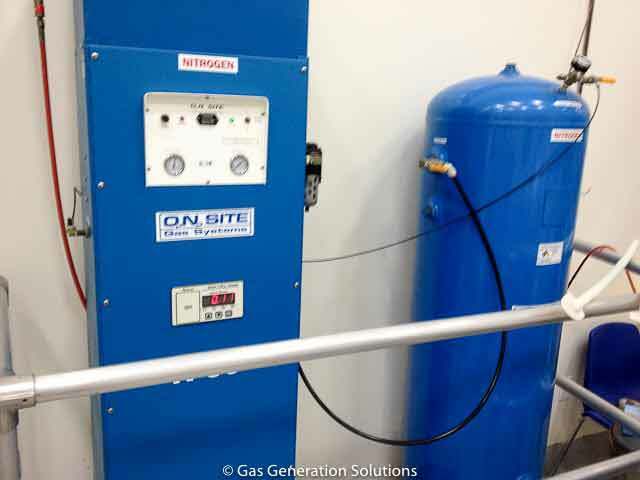 For the latter, a new nitrogen generator will be called for, but in any of these cases, the ability to create and store your own supply of gas on-site is imperative. 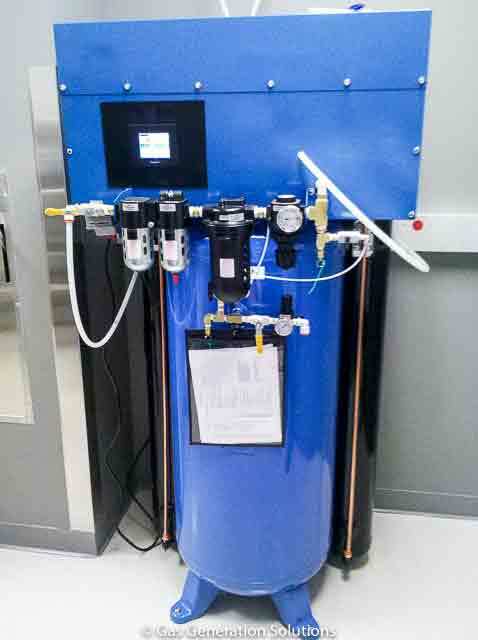 Nitrogen generator for cannabis processing lab. Small tank mounted nitrogen gas generator.